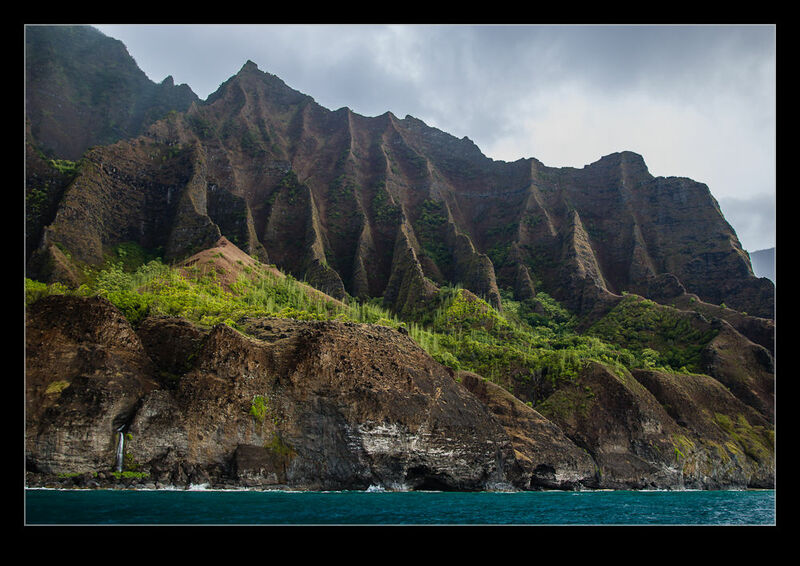 One of the beautiful features of Kauai is the northwestern coastline. Last year we took a look at it from the air and you can find the previous piece here if you want to look back at it. This year, we went the opposite way and went for the boat trip to see the coast from below! We were on a catamaran with a group of about a dozen other people. We cruised up the coast looking at the various features as we went. 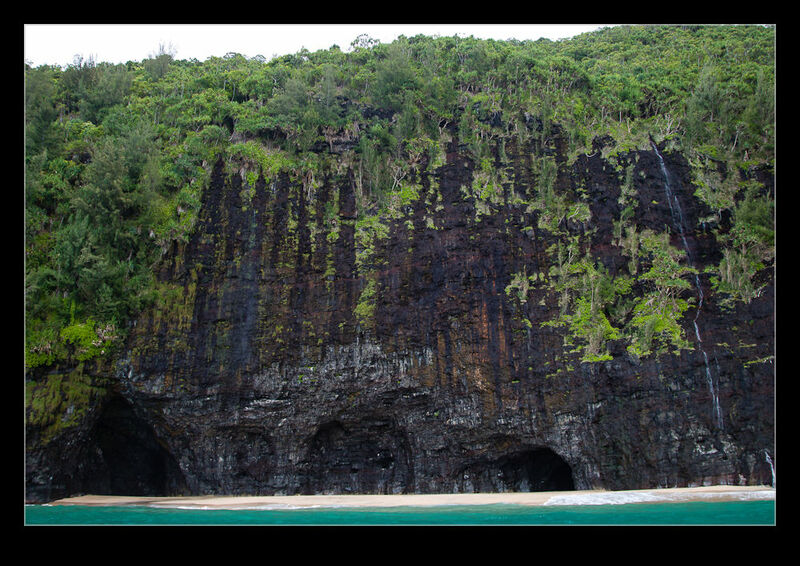 We could pull in to inlets, look at the caves, check out the water falling from above and see the mountains above. The weather was a bit mixed with some cloud rolling in but it was still pretty good. The area is gorgeous and seeing it from this perspective was a really great thing. Bobbing about on the waves was very relaxing and we were at the end of the day so the whole trip had a very calming feeling to it. The return leg was less calming though. The weather decided it wasn’t going to be calm any more. The wind got up a bit and the rain started. We bounced about on the way back. There was an area on the boat under cover which was welcome but, with the boat pitching about a bit, you needed to keep an eye on the horizon to avoid feeling rough. This worked fine and we got back without any problems (or loss of lunch). 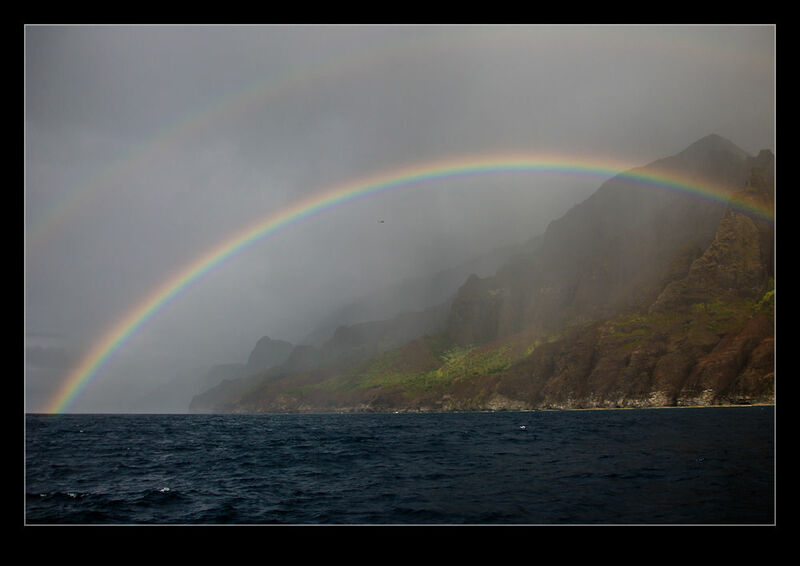 The rain did have some advantages with it providing a great rainbow at one point. 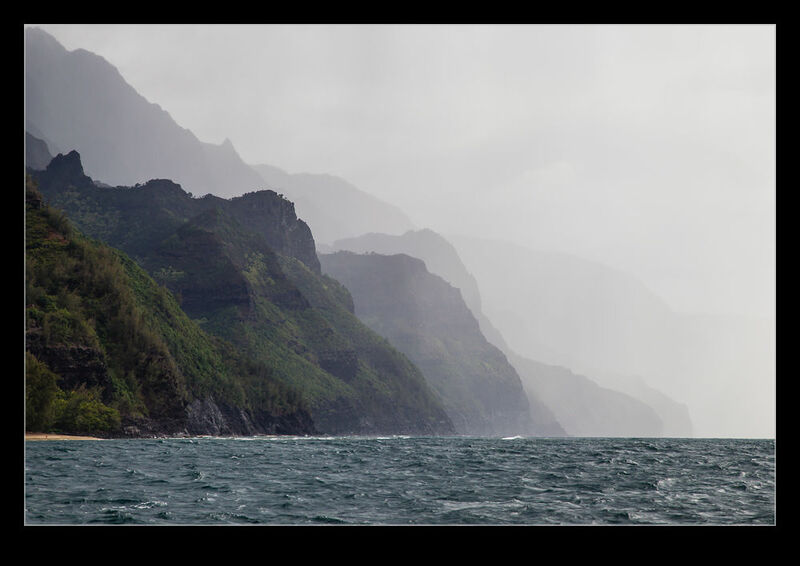 I would not say that there is a best way to see Na’Pali. If you can, the combination of air and sea is great. It certainly isn’t cheap but the two methods really do give you a great perspective on a beautiful area. 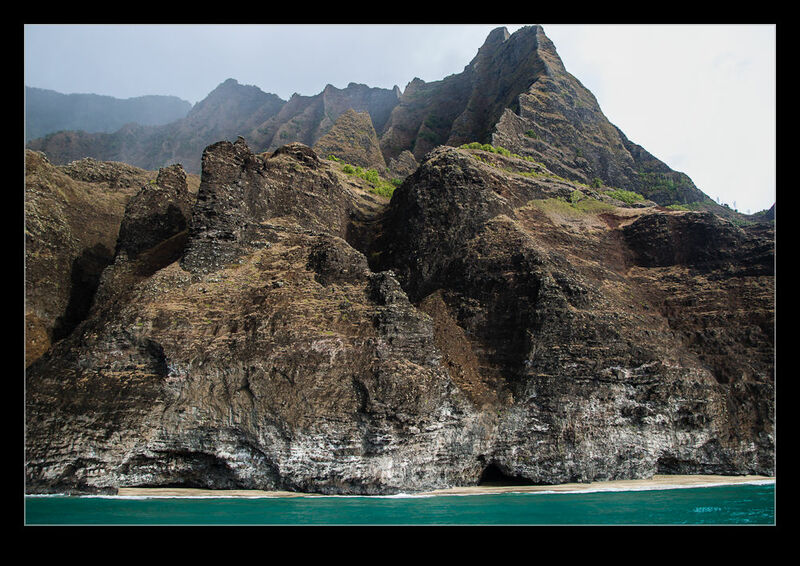 This entry was posted in photo, Travel and tagged boat, Coast, Na'Pali, photo, scenic, tour. Bookmark the permalink.